A Moto Mercenary had the Urge to Overkill until he relaxed by hanging out in the Wicked Garden. The product lines from Speed & Strength tell the story of a man tormented by his compulsion for blood and his atonement through horticultural therapy. We all have our demons that we have to deal with and tending to tomatoes can expel those demons. If you are relatively well adjusted, you won't be needing all that treatment. You can just rock the new helmet graphics for the SS1100 and the SS1300. The SS1100's Advanced Thermopoly Alloy Shell (A.T.P.A) dons the Speed & Strength SS1100 Moto Mercenary graphic in bright green. Soldiers of fortune will appreciate the Cool-Core removable washable and moisture wicking liner while they shoot to thrill (see emblem). The All Clear anti-scratch and anti-fog face shield keep vision clear to spot any tangos. The Urge Overkill is a much more subdued graphic with grey and black digital camo and various colored accents. 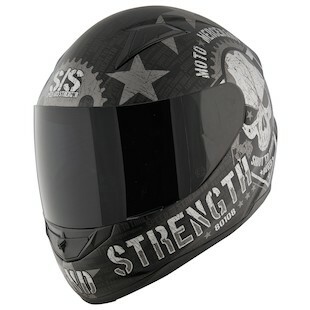 Top off the Urge Overkill jacket and pants with the Speed & Strength SS1100 Urge Overkill Helmet. Matchy-matchy is not over-the-top or an overkill in my book. The Speed & Strength SS1300 Wicked Garden graphic was not designed in Boston, though it is pretty wicked awesome with venus fly traps among skulls. The SS1300 offers the great features of the SS1100, but the SS1300's upgraded vent layout keeps riders cool. You have to be cool when wearing this graphic. It has carnivorous plants on it. Wear the Wicked Garden mesh jacket to be super cool with added airflow. 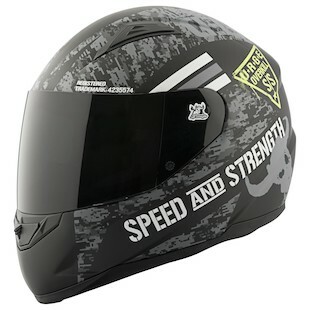 Speed & Strength's new helmet graphics tell a tale of redemption for a blood thirsty merc turned gardener. 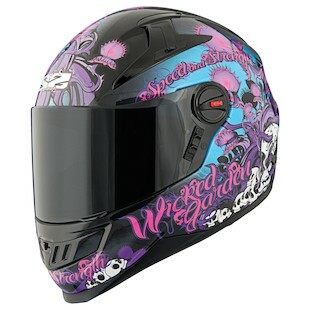 If you don't have to come to grips with your savage ways, you can just wear one of the graphics that matches your bike. No need to get all transcendental.